Proventus Consulting’s Burton Taylor has been featured by Lawdragon magazine in its Limelight discussion, which is a series that spotlights the nation’s leading attorneys, as well as the top consultants who support their work within the legal industry. Lawdragon, publisher of the Lawdragon 500 Leading Lawyers in America, featured a conversation with Taylor about his career path within the legal industry, as well as Proventus Consulting, which is an agency that has grown into one that “lawyers trust most” for legal marketing and public relations. “As a guy who has always had an interest in starting his own business, it did not take long for me to work alongside the attorneys at Shook who were growing their own practice before I developed an overwhelming urge to start mine,” he said. “I learned countless lessons from the partners at Shook that instilled in me a work ethic, commitment to value and appreciation for clients that I continue to carry with me today. 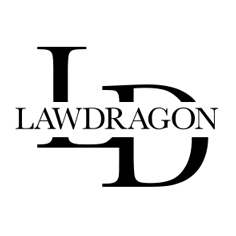 To read the full article on Lawdragon’s website, please click here.